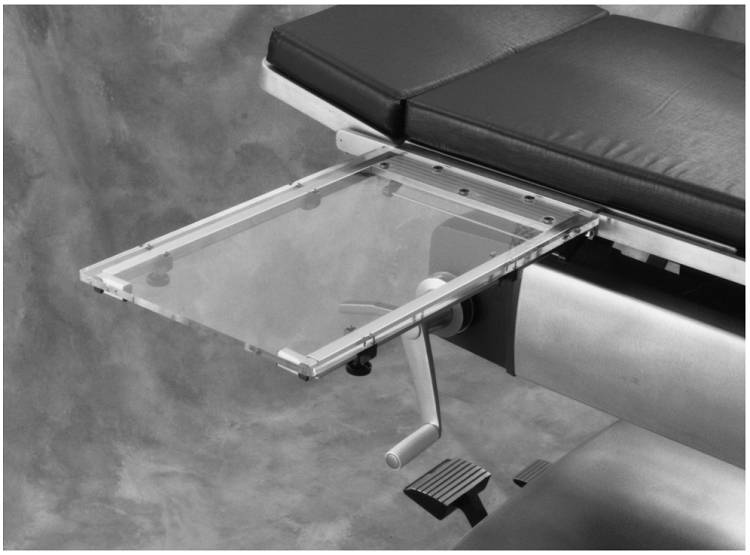 Carter Hand Surgery Table System | Instrument Specialists Inc. 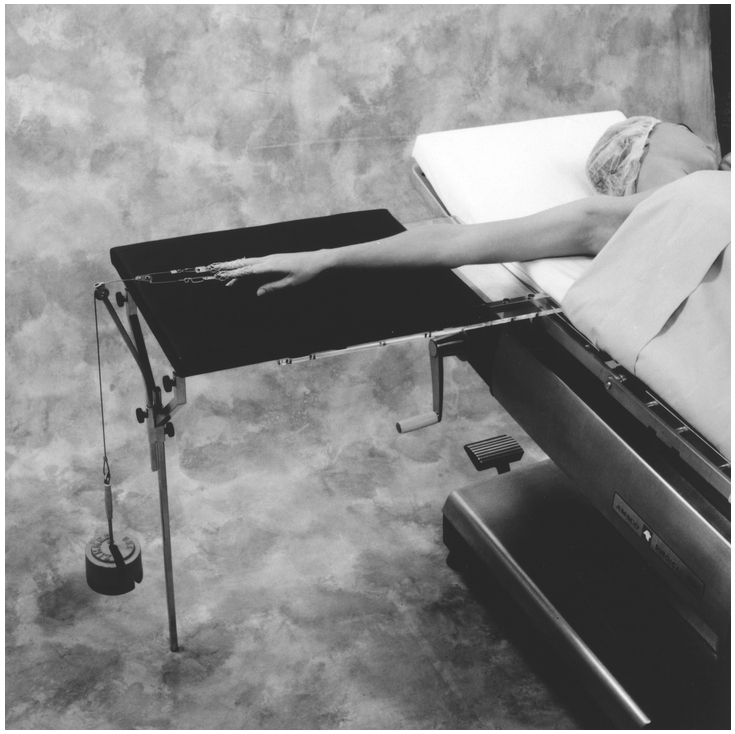 Known for years as the ultimate hand table, the Carter Hand Surgery Table allows for easy application of traction during procedures. 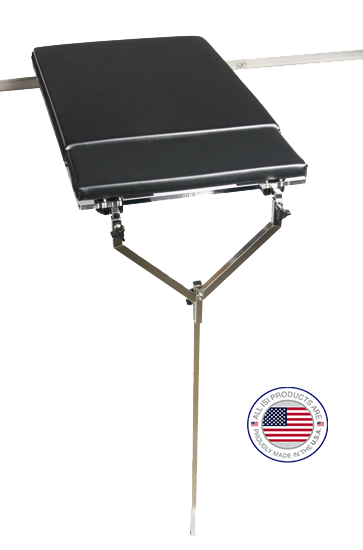 This hand table accommodates stable traction and can quickly convert to a legless table when a traction system is not in use. The unique cantilever design eliminates the need for supporting legs, making it ideal for any hand, arm, or wrist procedure. The acrylic surgical surface is radiolucent. The sturdy leg accommodates varying O.R. 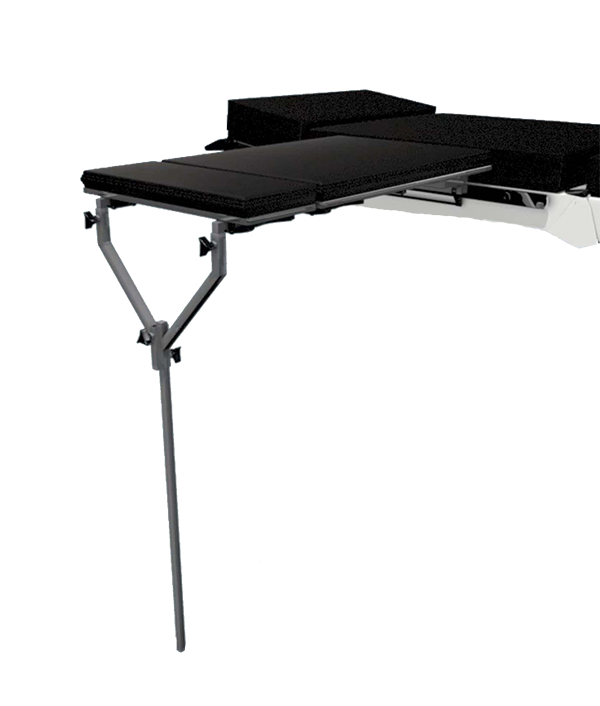 table heights and the adjustable pad easily adapts to individual patient arm lengths. The Carter Hand Surgery Table and traction accessories are easily disassembled and conveniently stored in its compact, sturdy case. Versatile, durable, simple to use and to store--it's the table designed by a surgeon for surgeons. Height Range for Leg: 24" - 34"
Width >> in: 15 1/2"
Height Range for Leg >> in: 24" - 34"